Hey friends! I have 3 great things for you to discover this weekend AND all Winter. Check out these great food items and a grand opening where you can come and hang with me! Click here to listen to my full segment on 101-WKQX. 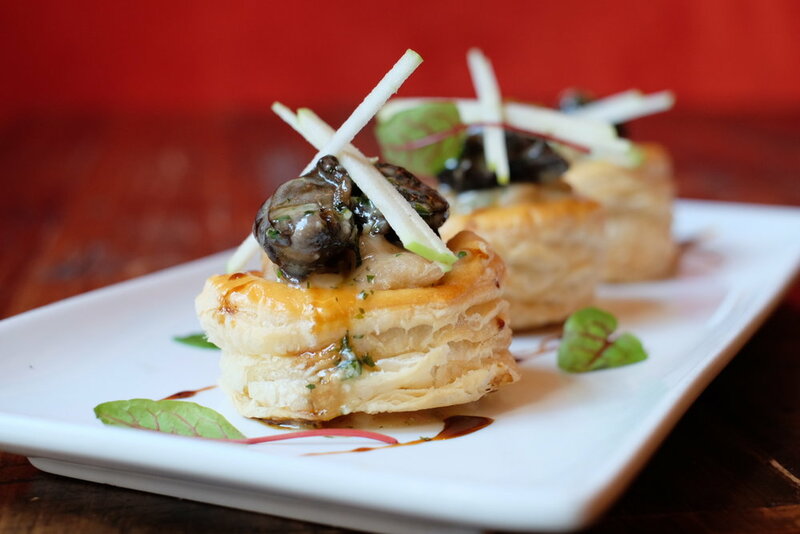 I've talked about Hubbard Inn a bunch as it's one of my favorite venues in River North. 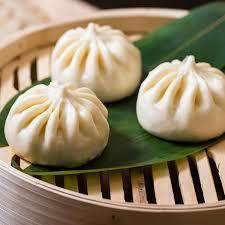 But they're spicing things up big time with a brand new winter menu and a new music series. Starting next week, Executive Chef Matthew Wilde’s new menu will feature seasonal ingredients, sourced locally whenever possible, and savory shareable dishes, perfect for winter weather dining. Menu highlights include small plates like Duck Bocadillo “Sloppy Joe” with lavash, Grilled Grass Fed Bison Burger with tomato jam, Roasted Spaghetti Squash & Shrimp Meatballs with pearl onion confit, cherry tomato and parmesan broth, Jambon & Manchego Flatbread, Salt Cod Brandade, Escargot & French Pastry (see below) and more. To complement the new menu, guests can sip on classic cocktails like a House Manhattan featuring Hubbard Inn’s own hand-selected, small batch Knob Creek private barrel bourbon, aged 9 years, with Carpano Antica, Angostura Bitters and a cherry, or The Hepburn with Effen Cucumber, St. Germain and fresh lemon. Hubbard Inn has also mixed up new winter cocktails, perfect for getting in the holiday spirit this season and sipping next to the fire including a Peppermint White Russian, Hot Spiced Wine and Cinnamon Apple Hot Toddy. If you're a music lover, and you enjoy the classic and nostalgic lounge singers of the golden era, you'll love the new "LIVE AT THE LOUNGE" music series. Every Thursday 9-11pm and it will run all winter and it's FREE! You know how much I love bringing food and music together! Hey friends! 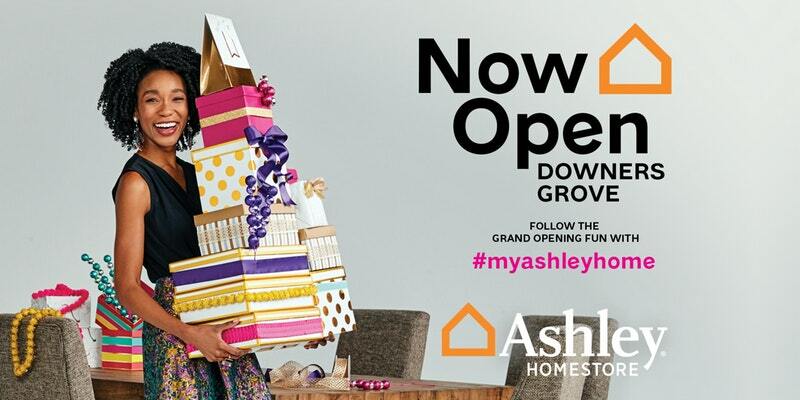 Come hang out with me TOMORROW (Saturday) at the Grand Opening of the brand new Ashley Home Store in Downers Grove! Would love to meet you all while I show you a bunch of cool lifestyle and entertaining tips and tricks. I'll interview the head lifestyle expert at Ashley and I'll also do a really fun "mocktail" demo of a super fun holiday drink that is fun and delicious for all ages. $100 Gift cards will be given to the first 100 guests which is a great way to put all of your new decorating knowledge to good use. Guests will also enter to win over $30,000 in prize giveaways that include a $1,000 Dining Room, $1,500 Bedroom and a $2,000 Living Room and even a $15,000 home makeover. There will also be a prize wheel with spaces for items such as tumblers, wine glasses and chances to enter a money machine- MY DREAM COME TRUE! And since the holidays are right around the corner, the Northern Illinois Food Bank will be on premises to help educate us on how we can help the less fortunate and they will be collecting canned goods and non-perishable food items, so PLEASE bring all you can to help! The event is from 9:30-3pm, and I will be there mid afternoon. Hope to see you all there!